Some nostalgia – Remembering the old Church of St. Sebastian in Corormandel KGF. 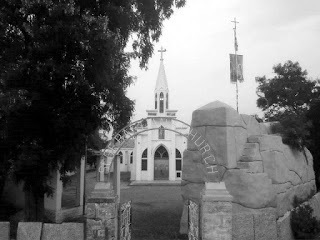 Since the Church was almost 3 miles way, people either had to walk or go by train or Jatka to the Parish Church. 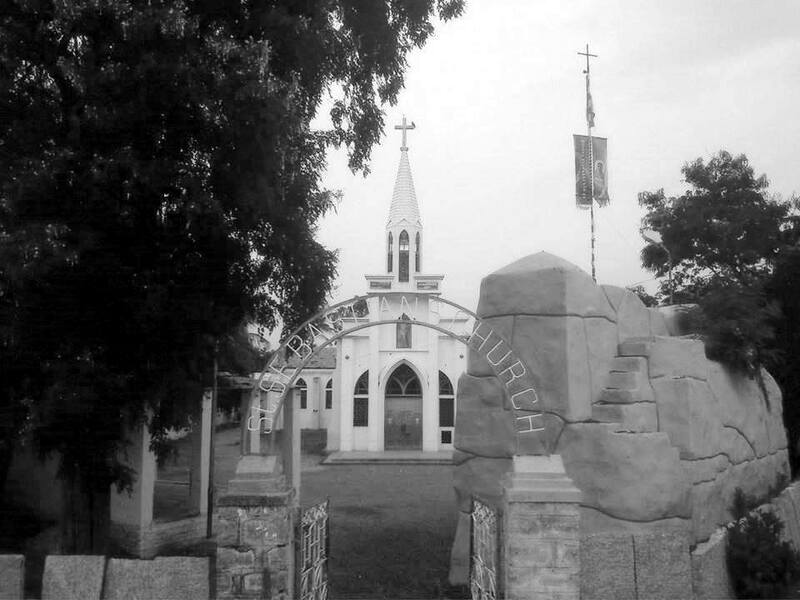 In view of the distance and the difficulties involved in reaching St. Sebastian’s Church, arrangements were made by the Parish Priest to conduct Mass for the parishioners in the KGF School Hall. All the Catholics from Nandydroog Mine would attend this Mass at 6 O’clock on Sunday mornings. Even though the Service would be conducted in Latin, everyone would take active part in the prayers and sing all the hymns. The Choir was conducted by Mrs. Monisse and Mr. Oliver. However for all important feasts and other occasions such as the Annual Mission, Funeral Masses, Christenings, First Communions etc, we went to our Parish Church. Later on, a new Shrine dedicated to Infant Jesus was established in the old swimming bath premises for the Catholics of Nandydroog mine. 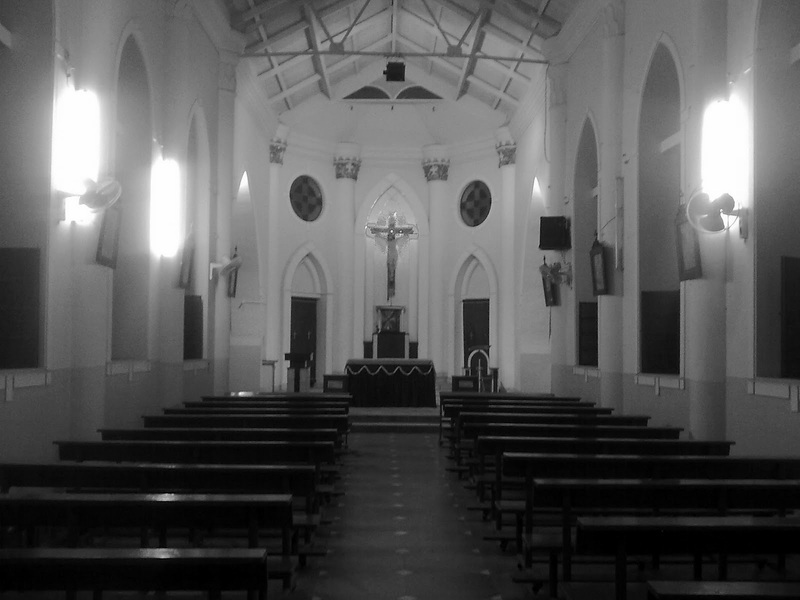 Since we belonged to St Sebastian’s Parish Church initially, all of us were Baptized and also made our First Holy Communion in St Sebastian’s Church. Sad to say that this heritage Church building which was built more than a century ago slowly started to disintegrate with the passage of time. Despite of all efforts to repair, conserve and maintain the building, many parts of the Church began to collapse. Out of no choice, the old church building has now been demolished and a new structure is coming up in its place.